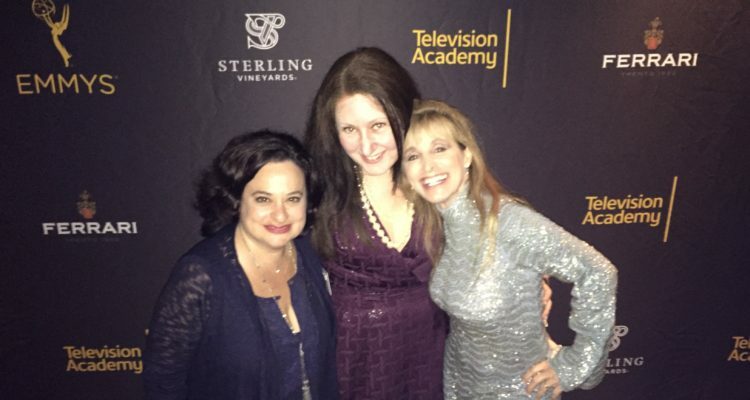 The Emmy nominations parties are always fun, especially hanging out with my girls, Ivy and Nikki! This was the night for casting directors and these men and women deserve the recognition. These are amazing people, talented in their own right, and I enjoyed meeting many new folks. Funny story; my daughter said don’t wear long sleeves and definitely no sequence. You look like you are dressed for winter and way to sparkly. Ah hah! 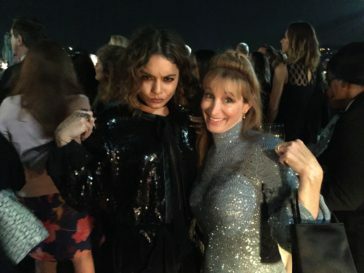 So enjoyed getting this photo with a lovely young lady in a sequence pant suit, who happened to be Vanessa Hudgens, while everyone else was quite cold at this rooftop party at the Montage Hotel in BH. I love this ice-blue sequence dress, my grandma hand knitted. It is quite special. No Comments on "Sequence & Emmy Parties"